Arizona's schools chief serves at the head of the Arizona Department of Education and sets education policy for the state.The winning candidate will serve a four-year-term; the job pays $85,000 annually. What in your education/professional background has best prepared you for this position? What is the most pressing issue regarding Arizona’s public schools and how will you work to solve it? 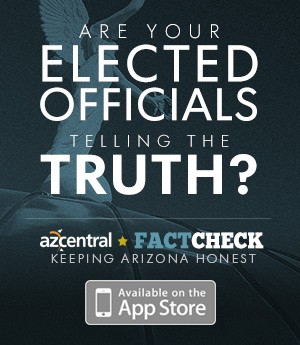 Are Arizona schools adequately funded? If not, how would you suggest the state improve that? How would you help ensure public-school students have access to qualified teachers? What is your position on the state’s Empowerment Scholarship Accounts program and Proposition 305? What is your position on the #RedEorEd movement? Were teachers right to walk out? What would you do to assure there isn’t another teacher walkout? What should be done to better assure students are safe at school? How will you improve financial transparency for district and charter schools? What do you feel is the most important responsibility for the state superintendent of public instruction? Please be specific. What, if anything, would you advocate be changed in Arizona’s standardized testing requirements or school letter-grade accountability system? As a speech therapist in the public schools, I serve on a Special Education team that works to improve academic achievement and life skills of students with disabilities. From my experiences in the classroom with students, collaborating with teachers across grade levels, and discussions with parents, I have a broad perspective of the school setting and its impact on the surrounding community. As a statewide candidate, my fluency in Spanish has given me the opportunity to understand the concerns of the Latino community. From my time living abroad in South America and Japan, I am sensitive to cultural differences and never presume that I know what is best for a community without first asking them and inviting them to be a part of the planning and decision-making process. Our schools need a voice in government who has first-hand experience from the classroom and understands complex needs of students from all backgrounds. The most critical issue is the shortage of qualified teachers and staff in our schools. In addition to the surplus of vacant positions, teachers frequently leave Arizona to teach elsewhere with higher salaries or more manageable workloads. As State Superintendent, I will work to ensure that Arizona schools are attractive for both teachers and classified staff. I will lobby lawmakers to address the variety of inequity issues that have resulted in our teacher shortage including pay, provision of support staff on each campus, cost of healthcare, and paid maternity/paternity leave. Arizona's future starts in our schools. It is time to invest in our teachers and support staff so that they can be their best for our students. I am eager to collaborate with our next governor and legislature to use any means available to finally create a system of adequate school funding. We must utilize stable revenue sources (e.g. statewide property or income taxes) rather than regressive, volatile sales taxes and bond/override elections. As an educator in special education at a Title I school, I see first-hand the effects of diminished resources. For the majority of my students, school is a safe haven and their only opportunity to access music, science, art, and technology coursework. Only through investing in education, can we take our education system from the bottom to the top, and become leaders of academic success. As your State Superintendent, I will work with the legislature to produce innovative policies that will attract new teachers to the profession and encourage our highly-qualified teachers to stay in the field. We must treat educators as professionals and that starts with providing a competitive salary and benefits. To attract young adults to the teaching field, our school districts should strive towards being leaders of quality maternity and paternity leave. We know that to build life-long learners and future leaders, strong family supports in the earliest months of infancy are crucial. Public schools should be champions of paid maternity and paternity leave, which would make our educational system more competitive with private industry jobs. A related issue is that many teachers leave the field due to high workloads and classroom sizes. This should be addressed through hiring more support staff, teacher aides, and substitute teachers. Given our current school funding issues, I do not support the expansion of ESA vouchers and will be voting "no" on Prop 305 come November. If passed, Prop 305 would further defund our public schools. This is terrifying. As my priorities include increasing teacher pay and student resources, our school districts cannot afford to have their budgets depleted by vouchers. I support families' freedom to choose the best school for their children. It is critical to have access to a high-quality public school for every child and in every neighborhood across the state. ESA vouchers simply do not support that vision of education. As an educator, I am proud that I voted "yes" for a walkout and participated in the #RedForEd movement at the Capitol. Arizona has made more cuts to education over the past decade than any other state. In response to these cuts and lack of legislative action, teachers and families resorted to a walk out to gain the attention of our legislature and governor. #REDforEd is the direct result of Arizona largely ignoring the needs of our schools and students. Moving forward, I support initiatives like #InvestinEd that seek to create sustainable revenue sources for our public schools so that large-scale demonstrations like the walk out do not have to take place in our state again. A walkout should always be a last resort because it does cause uncertainty and chaos within the educational system. To remove the possibility of a future walkout, we must restore trust between educators and policymakers. Our schools' staff will not be motivated to walk out when they believe that the legislature and governor are listening and working to improve their working conditions. Additionally, I will use my position to be a vocal advocate for all teachers and students so that our schools have an ally in the Department of Education. As an advocate, I will lobby our legislature to pass pro-public education policies that support our teachers and foster better educational outcomes for our students. When schools have sufficient funding, students have access to appropriate resources, and teachers receive a livable wage, walkouts will not happen. To address our students' mental health needs, our schools need a significant increase in the number of counselors, social workers, and behavior specialists. We currently have far too few of these critical positions in our schools and as a result, many of our students are left without critical resources. Teachers are often the first to identify "at risk" students and schools should provide services internally to support students with mental health issues. In addition, I am particularly concerned with the safety of our students who belong to immigrant, refugee, and LGTBQ communities while they attend our schools. I support the implementation of common sense gun reform at the state level. The answer simply is not more guns or more police. Both of these "solutions" will not work and often have a disproportionate impact on our students of color. Additionally, from a young age, schools should provide adequate recess time and social-emotional instruction to promote cooperation between peers. Charter schools should be held to the same transparency and accountability standards as traditional public schools. Taxpayers have a right to see how their tax dollars are spent. One of my first orders of business as Superintendent would be a thorough audit of the Department of Education. Schools cannot afford accounting errors or misallocation of funds, which had been occurring for the past several years. I have seen the direct effect of these errors because my school received a surplus of federal funding, and as a result, their Title I budget was significantly decreased for the next school year to make up the difference. After meeting and discussing charter school issues with stakeholders, including owners, parents, and students, I know that we can all agree that that it should be illegal for charter schools to close down midway through the school year. This is harmful for the entire community as it displaces teachers and students without warning. As your next Superintendent, my priority will be to be an advocate for our public schools and represent the needs of our students, teachers, and families. This starts with building relationships with school districts and working together to find solutions for their challenges. I will lead the Department of Education with integrity and hold the legislature accountable for their actions that affect our schools. It is important for the Superintendent to identify the most pressing needs in our schools and fight for policy changes to move our education system forward. In this role, I will always stand in solidarity with educators because it has a direct impact on the success of our students and the quality of service for families. I strongly disagree with using test scores to measure teacher performance or determine A-F grades because of the strong correlation between test performance and socioeconomic status. Until our public schools are adequately funded, it is unjust to grade schools based on “proficiency”. Many “F” schools are struggling to overcome obstacles of poverty and second-language acquisition. It is demoralizing for the teachers, students, and families to receive this label. I do not agree with Governor Ducey that funding should be distributed based on school performance. It is not reasonable to impose financial consequences on schools that may be struggling due to insufficient resources or other peripheral limitations that are unrelated to the quality of teaching. Schools with high rates of poverty or limited infrastructure (e.g. internet access) need supplemental resources to ensure that these students have the equal opportunity to succeed. Family Wife Cathy (married 38 years); three adult, married children & six grandchildren, all under the age of 7. I'm running for Supt. of Public Instruction to provide the leadership that's been missing in that important office at a critical time in Arizona. I have the right combination of skills to lead the AZ Department of Education (ADE) and our state's K-12 education system: high-level executive experience in the private, nonprofit and education sectors; a deep knowledge of education policies and practices at the local, state and federal levels; and the legislative and political acumen to build collegial working relationships and forge consensus to expand educational opportunity and improve educational outcomes for all Arizona students. I'm the only candidate with a proven record of executive, educational and legislative leadership, and the only candidate who's been an education leader at the local, state and federal levels: elected public school district member/president; founding president of an Arizona statewide, accredited, online K-12 school; and U.S. Congressman and Chairman of the House Primary & Secondary Education Subcommittee. I authored legislation on special education, career-technical education, and charter schools, and was recognized for my dedication to children with disabilities. The Heritage Foundation said, "Representative Riggs spearheaded many cutting-edge initiatives like school choice and charter schools." I'm a successful businessman, former CEO of a national, award-winning education nonprofit, University Instructor, and a teacher and coach. I'm also an Army veteran and former police officer who will work to make our schools safer. Stabilize K-12 education funding by indexing it to student enrollment growth & inflation. Address the acute teacher shortage - and recruit & retain the best teachers for AZ students - by benchmarking teacher compensation against, & paying our teachers competitively with, neighboring states in the Southwest Region. Address the "Achievement Gap" (students developmentally behind peer & grade level) by devoting more resources to schools serving large numbers of disadvantaged students for early identification & intervention through individual & small group instruction. Address the "Skills Gap" in our state economy (10K unfilled jobs in the construction trades & a like number of unfilled computer jobs in information technology & the digital economy) by expanding & coordinating career-technical education at the secondary & post-secondary levels to align with the needs & opportunities of the workforce. K-12 funding was largely stagnant for a decade, since the Great Recession, while we were adding over a half-million new residents with a corresponding enrollment increase of 70K+ students in our K-12 schools. As a result, per-pupil funding declined and class sizes increased. The recent actions by the Legislature & Governor to extend the Prop 301 sales tax & enact the first phase of the Governor's 20x2020 plan are a good start. I've proposed indexing K-12 per-pupil funding to student enrollment growth & inflation. I've also proposed a moratorium on further state corporate income tax cuts, especially since corporate tax rates have been cut by 40% at the federal level. As a business owner & former CEO, I believe the business community & private sector should contribute more for K-12 education since they have a vital interest in an educated & trained workforce. I should also note I was an outspoken proponent of Prop 123 & worked closely with the Governor & the campaign for its passage. I've proposed benchmarking teacher compensation & paying our teachers competitively with neighboring states in the SW Region. I'm a strong supporter of alternative credentialing for mid-career professionals with "real world" experience & demonstrated subject matter expertise who want to enter the teaching profession under the mentoring & supervision of an experienced teacher. I will directly involve ADE in recruitment efforts & job fairs targeting the high-demand subject areas. I will also have ADE (1) offer technical assistance to local education agencies that want to develop a career ladder & incentive plan for master/mentor teachers to help retain experienced classroom teachers; & (2) promote ongoing, in-service professional development for educators seeking to develop cross-disciplinary expertise & skills. I believe parents have a fundamental right (and responsibility) to choose and direct their child's education. That right is codified in AZ law under our Parental Bill of Rights statute. I think the ideal way of funding K-12 education is for the per-pupil funding to follow the student to the educational model and type of schooling chosen by their parents. Regarding the expansion of ESA's that is now the subject of the Prop 305 ballot initiative: I believe - & advised then-State Senator Lesko & Gov. Ducey - that the additional 30,000 ESA's should be means-tested to give low-income families priority. These families often live in communities with historically under-performing schools. They also are often less mobile and need assistance with transportation to take advantage of an ESA for their child. I'd like to see the maximum dollar amount of an ESA increased even though many private schools offer tuition waivers and assistance for needy students. For these reasons, I oppose Prop 305. I think there's little doubt that the Governor & Legislature would not have extended Prop 301 & enacted the first phase of the Governor's 20x2020 plan (the add'l 9% for teacher compensation in FY '19 [the '18-'19 school year]) but for the grassroots pressure of the RedForEd movement. That said, I think it was very bad faith for teachers to walkout after the Governor's proposal but before the Legislature could act (as a former U.S. Congressman I know the legislative/political process takes time). I also strongly disagree with the highly partisan agenda of the political operatives leading RedForEd (AEA & AEU) to elect Democratic candidates up & down the ballot, & pass the InvestInEd tax increase initiative. I proposed a phased 20% increase in K-12 education funding to increase base teacher compensation when I became a candidate in April 2017. Unlike the incumbent SPI who's lost all credibility & effectiveness, I would have worked with the Legislature to pass a substantial increase in funding to avert a walkout in the first place. Regarding the possibility of another walkout, I would coordinate with the Attorney General to issue guidance to the governing boards of school districts & charter schools on their responsibilities as employers to assure that their employees (both certificated & classified) meet their contractual responsibilities. I would also work with the Legislature on a plan that would prorate/reduce ADM (per-pupil) funding for schools that close because of a threatened or actual walkout. Every school needs training on dealing with an active shooter. All schools should have at least one emergency preparedness training session per year. Schools are "soft targets" that need to be hardened through controlled entrances. All other doors need to be locked at all times with panic bar exit devices. All school classrooms should have securable (locking) doors to stop unwanted entries. School Resource Officers (sworn, trained, armed law enforcement officers) can provide a uniformed presence in our schools. That presence is a proven deterrent, as I know from firsthand experience as a police officer. The uniformed SRO's need to be present at the times of maximum vulnerability, i.e., before school and during dismissal (busing), and at school assemblies. Experienced SRO's can also act as teachers and counselors. Classroom teachers need training in recognizing troubled students, and school administrators must cooperate with law enforcement & juvenile justice authorities. ADE should have an active, lead role in the administration & oversight of operational, academic & financial audits of all local education agencies, including working closely with the outside auditors of charter school organizations (most of which are tax-exempt nonprofit corporations). We should account for taxpayer spending for ongoing (operational) purposes and for capital & soft capital expenditures, as well as recurring & non-recurring costs. ADE should also work with the State Auditor General on specific ways to increase classroom spending above the current rate of 54 cents of every education dollar, including identifying unfunded mandates (without a corresponding funding source) at the federal & state level. All charter school governing board members should have formal training on charter school & nonprofit governance, including their legal & fiduciary responsibilities, individually, & collectively as the charter-holding governing board. To provide the high-level executive leadership & management of ADE in its critical mission of implementing & administering all federal & state policies & programs for K-12 education, as well as the $10 billion in local, state & federal funding we spend on K-12 education (with full accountability & transparency). As the statewide constitutional officer responsible for leading our K-12 education system, the Superintendent also has a bully pulpit & must be a credible & articulate advocate on behalf of parents, students, educators, employers & taxpayers. I think the challenge of leadership, especially in the role of Supt. of Public Instruction, is to reconcile competing and divergent viewpoints in order to forge a common vision & consensus about the policies that are in the best interest of Arizona's 1.2 million K-12 students to prepare them for college, career & citizenship. I think I've demonstrated those qualities throughout my adult life & career, including my service in Congress. I believe we should implement a “dashboard” of both quantitative and qualitative metrics that can be used to measure student achievement and school performance, including longitudinal, year-over-year progress. This dashboard should allow for parental feedback as well as self-evaluation by school personnel. School districts & charter schools should design their curriculum to fit their educational model & the unique needs & characteristics of their student population they serve, in consultation with their accreditation agency. Our K-12 standards and tests should correlate with the admission requirements of our four-year state universities. AZ schools should be able to use a nationally norm-referenced test or performance assessment from the "Menu of Assessments" approved by the State Legislature & State Board of Education including the Iowa, SAT-9, Cambridge Int'l, AP, IB, & SAT/PSAT/ACT, instead of AzMerit, the current state standardized test which isn't nationally norm-referenced.